Clicking on an area of the map above will take you to a more detailed map of that area. 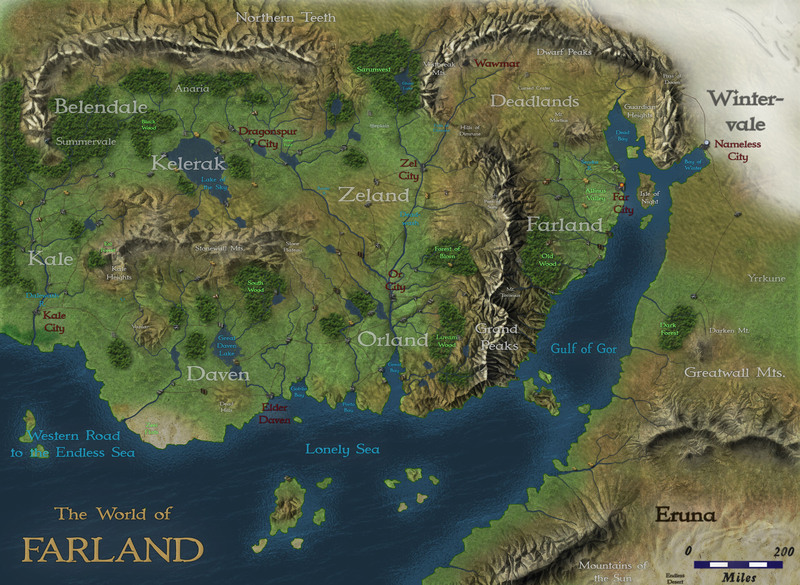 Click here to read some details about the continent of Farland. 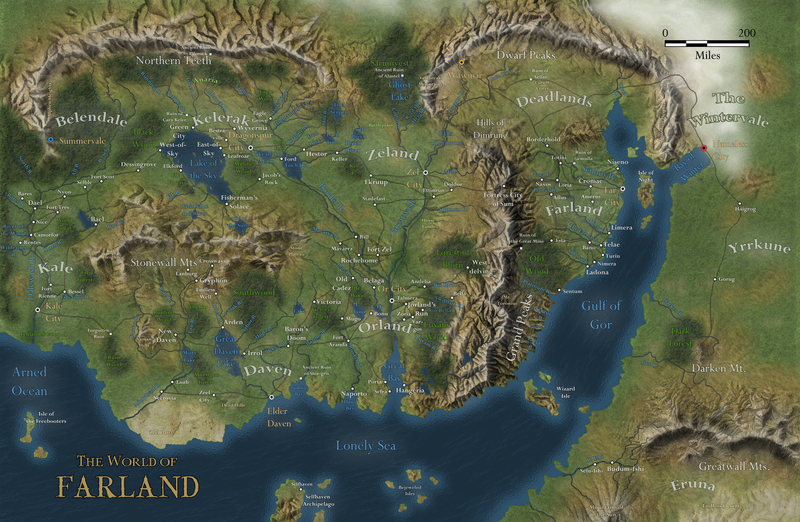 Click here for a poster-sized map of the continent, with towns, roads, and other details. 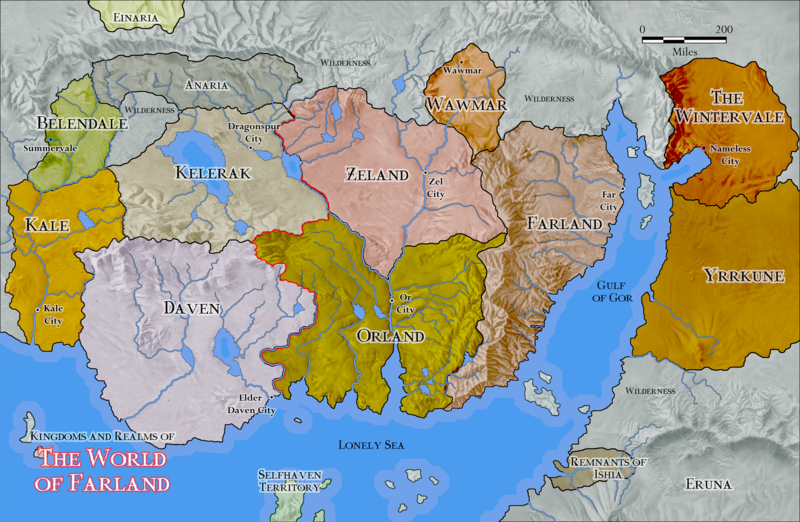 Click here for a political map of the continent of Farland. Click here for a list of maps in text format.